All hail the Queen, indeed! 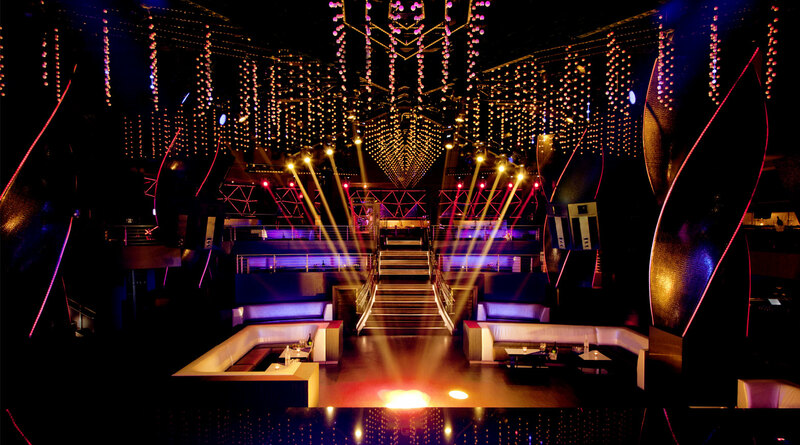 For his redesign of this legendary Paris nightclub FFD injected the decades-old club with a fresh new energy. The larger space, still located on the Avenue des Champs-Elysées, features a purple-hued color scheme, a DJ cabin suspended above the dance floor, a rotunda that can be privatized with benches, and the bar placed in the center of the room. Between its design, state-of-the art audio visual capabilities and chic, modern seating, there is simply nothing like it in Paris.